Palisades Hebrew School is a warm, all-encompassing, non-judgmental environment; welcoming Jewish families from all backgrounds. We acknowledge and respect the diversity of our children; while emphasizing Jewish values of family, community, compassion, joy, tradition and rituals. 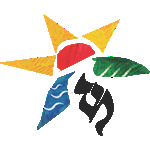 No synagogue membership is required to be part of Palisades Hebrew School. We welcome you to our school community and invite you to join us for our extensive array of programming.